Once again, it is time to gather in State College, PA for professional growth and collegial sharing. This year we continue to offer a variety of workshops to meet the needs of professionals including school psychologists and many other related professionals. There are opportunities to gather and reconnect with colleagues and network with new ones. Events include the Robert G. Bernreuter lecture with Dr. George Sugai, Joseph French lecture, the FREE Annual Beef & Brew, and the ASPP Auction/NASP Children’s Fund Raffle. In all, the Fall Conference is sure to be a valuable time of professional development and not to be missed!! ?School climate has become a common education buzzword. The purpose of this workshop is to discuss how school psychologists and educators participate in activities that operationalize, establish, and sustain positive school and classroom climate, particularly within the logic of tiered systems of supports. Effective and efficient and culturally relevant implementation of evidence-based practices will be emphasized. Workshop descriptors include multi-tiered systems of support (MTSS), positive behavioral interventions and support (PBIS), school discipline and classroom behavior management, prevention and behavioral sciences, and social-emotional-behavioral-academic integration. 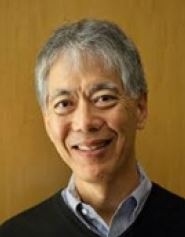 Dr. Sugai is the Carole J. Neag endowed chair in special education in the Neag School of Education at the University of Connecticut. He is also co-director of National Center on Positive Behavioral Interventions and Supports (www.pbis.org), and engages in research, teaching, and scholarship related to school and class climate, school discipline and classroom behavior management, social skills training, function-based support and behavior intervention planning, systems improvement at the school, district and state levels. The presentation will identify and describe three psychological types of school shooters: psychopathic, psychotic, and traumatized. Each of these types will be presented through case histories of actual perpetrators. The presentation will also discuss the life circumstances of the perpetrators, who often endured multiple blows to their identities including romantic rejections, academic and/or occupational failures, the thwarting of military aspirations, and disciplinary problems at school. Thus, a combination of internal and external factors put them on the path toward violence. The final section will cover warning signs of violence and explain the concepts of attack-related behavior and leakage and how they are used in threat assessment. A distinction will be made between reactive emergency response procedures such as lockdown drills that are utilized after an armed intruder has entered a building or campus, and threat assessment as a proactive approach to identify a potential violent attacker before he shows up armed and ready to kill. Particular attention will be paid to warning signs that have appeared in student assignments. Dr. Peter Langman – Psychologist - author of the books “School Shooters” and “Why Kids Kill.” His recommendations on school safety were presented to President Obama, his research has been cited in congressional testimony, and he has presented at the FBI National Academy in Quantico.? Conducting a comprehensive assessment of a child’s strengths and weaknesses in cognition, communication, motor, and social abilities is key to early intervention and instructional planning. Much debate surrounds the best way to conduct an early childhood assessment (e.g., play-based vs. norm-referenced). This session will focus on a best practice approach to conducting an early childhood assessment through the integration of play-based assessment practices and norm-referenced testing data. The presenter(s) will focus on assessment planning and data collection techniques (e.g., observation, play-based assessment, analysis of developmental history, parent/teacher information, and norm-referenced testing) to ensure multiple sources of data are collected from various settings. Norm referenced tests available to assess early childhood students will be highlighted and discussed. Integration of the data will be demonstrated for instructional programming. This presentation will focus on providing school psychologists training on evaluating students with suspected emotional and behavioral disabilities in a legally compliant manner. The presenters will clarify the five characteristics and three criterion of Individual with Disabilities in Education Improvement Act's (IDEA) category, Emotional Disturbance (ED) with guidance on the social maladjustment caveat. The presenters will incorporate each aspect of IDEA's ED characteristic, criterion, and caveat and will review federal and Pennsylvania court decisions that have examined each aspect. Finally, they will provide assessment guidance in assessing each characteristic and criterion while accounting for best practices, ethical obligations, and legal compliance. Presented jointly by a school psychologist and school attorney, this session will review the collaboration of both professions to promote student well-being. There will be a focus on emotional and behavioral prevention and intervention. Practitioners will be provided with a clear method to align their evaluations in a manner that assesses all ED characteristics and criterion. Participants will be provided with a legal analysis of each criterion based on Pennsylvania and National precedent. In sum, this presentation will target a school psychologist's knowledge base and clinical skills in helping schools become legally compliant, safe, effective learning environments for students. This presentation will build upon current understandings of violence, delinquency, and aggression in youth to provide you with the necessary foundation for developing competencies for effecting change in schools. Participants will be offered the opportunity to integrate and apply understandings within case studies and vignettes. The use of a formalized assessment process will be evaluated in terms of the opportunities to identify specific areas of need that may be used to guide school-based intervention efforts. Traumatic Brain Injury has been a hot topic in schools in recent years. Increased awareness of concussions, as well as more severe brain injuries, has led to an increased demand on schools to assess, identify, and intervene with children who experience TBIs. This presentation will provide a brief refresher of brain structure and function, as well as the varied definitions of Traumatic Brain Injury. The majority of this session will focus on assessment techniques and evaluation information to better inform school teams to understand student’s needs. A discussion of concussions as a special topic of brain injuries will also be included. This presentation addresses research and practice issues surrounding consultation of school psychologists. This presentation will address important variables impacting consultation, collaboration, and team building in schools. School consultation occurs on many levels and may include consultation for intensive services. At the most intensive level (IDEA), consultation involves legal concerns and team decision making. This presentation will explore research and practices to enhance school consultation. Assessment of parent and family needs will be explored. Consultation for enhancing team building in schools will be covered. Participants will benefit by improving consultation skills for assessment, communication, and collaboration with parents and teachers. This workshop will discuss current mental health status in the teenage population and how therapeutic interventions and prevention initiatives can utilize MBI and creative social engagement as tools to support conscious development of self-regulation in the school environment and community as a whole. The presentation will include discussion and exploration of Mindful-Based Interventions (MBI) in the school context. Applications of Mindful-Based Social Emotional Learning (SEL) strategies to promote student self-regulation will be reviewed, along with 3 modalities of intervention (Tier 1-2-3), that utilizes MBI & creative social engagement at its core. School psychologists are uniquely positioned in schools to facilitate the development, delivery, and monitoring of prompt, effective, and culturally responsive mental and behavioral health services of prevention and intervention. This presentation will introduce the participants to a Multi-tiered Systems of Support framework for providing mental health services in schools. Specific intervention strategies and the role of the school psychologist in implementing these strategies will be discussed. The purpose of this workshop is to provide participants with an overview of what research tells us about Interoception—the 8th sense—and how to apply this research when developing effective programming and school-based supports. Interoception helps us to sense body signals like a growling stomach, tense muscles or racing heart. Research indicates that our ability to clearly feel these internal signals enables us to accurately identify our emotions: Are we Anxious? Getting Frustrated? Hungry? Many individuals with conditions such as autism, ADHD, trauma, and anxiety have difficulty with interoception, causing significant challenges in identifying and managing the way they feel. The information presented in this session will include: 1) a summary of recent neuroscientific findings regarding interoception; 2) how interoception influences skill areas such emotional regulation and perspective taking 3) how to assess interoception; 4) a summary of evidenced-based interventions for improving interoception; 5) several case studies that will illustrate how the assessment and intervention process is being applied within a variety of classroom settings. Due to rapid growth of interoception research over the past decade, this session will benefit any participant seeking to stay current in assessment or intervention techniques rooted in the most recent neuroscientific findings. The purpose of the workshop is to link the science of how the brain learns to read to effective assessment, consultative, and intervention practices. Teaching students to learn to read is a complex practice, which requires school psychologists to remain abreast of diagnostic tools and screening measures in order to offer scientifically-based recommendations for students with and without specific learning disabilities. The presentation will include an overview of the many skills required for proficient reading with a focus on Seidenberg and McClelland’s (1989) four-part processing model for word recognition and Scarborough’s (2001) rope model of the many threads woven into skilled reading. A variety of diagnostic and survey-level assessments will be mapped onto the models shared above in order to show how select measures and subtests assist in delving deeper into students’ reading skill needs. The presentation will also include examples of evidence-based instructional practices used to support recommendations for students’ programming and effective consultation with problem-solving teams. Participants will benefit from the presentation by acquiring an understanding of the complexity of learning to read, as well as the role of the school psychologist as an expert in literacy development with regard to assessment practices and intervention planning. This session will offer an interactive discussion around supervision in the training and practice of school psychologists with the dual objectives of (a) sharing professional standards and theoretical frameworks for supervision, as well as (b) engaging participants in conferring around potential problems and solutions related to supervision in school psychology. Presenters will review standards for supervision set forth by professional organizations related to school psychology. In addition, presenters will summarize theoretical models of supervision (e.g., developmental and competency-based frameworks) and the extant empirical literature on supervision, ending with a discussion of potential issues and solutions in school psychology supervision practices. Throughout the session, presenters will invite participants to share their experiences and perspectives related to a range of topics related to supervision in school psychology. School psychologists and trainees of all backgrounds and levels of experience will benefit from this session. Specifically, this session will help participants identify and apply professional standards for supervision; describe the state of theoretical and empirical literature on supervision in school psychology; and develop strategies for enhancing their practices as school psychology supervisees and/or supervisors.